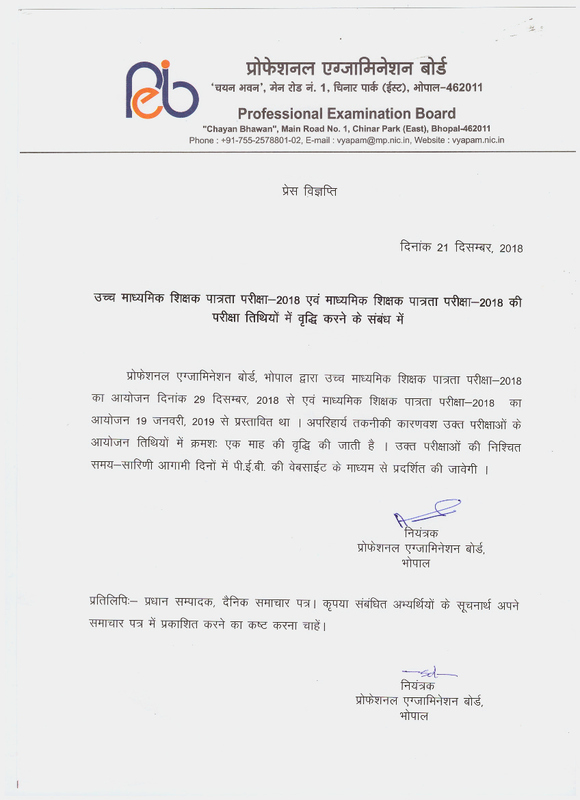 About Post : Madhya Pradesh Professional Examination Board (MPPEB) Are Invited Online Application Form For High School Teacher Eligibility Test For Senior Secondary 17000 Teacher Recruitment. Interested Candidate Completed All Eligibility Criteria And Apply Online Application Form. Before You Apply Online Application Form Please Read Full Notification. Bhopal, Indore, Jabalpur, Gwalior, Ujjain, Neemuch, Ratlam, Mandsaur, Sagar, Khandwa, Guna, Damoh, Katni, Sidhi, Chindware, Balaghat, Rewa, Siwani & Khargon.